For the first time in 12 years, Chicago played host to the Book Expo America. 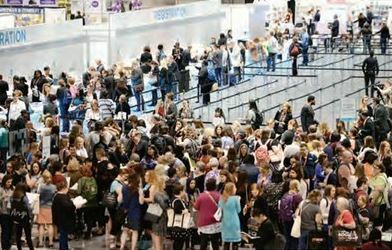 Touted as the largest annual publishing industry event in North America, BEA rivals the Frankfurt Book rivaling Fair and London Book Fair in size and scale. Although the change in venue to Chicago meant a smaller show in terms of exhibitors, it did shine a spotlight on often overlooked Chicago and Midwestern publishers. According to the American Booksellers Association, many booksellers who don’t normally make the trip to New York City, did come to Chicago. In fact, overall attendance was up by 1000 people, with a 10% increase in VIP attendees. Since Chicago has been PG’s home for over 20 years, this was a fantastic opportunity to feature our publishing solutions for publishers and authors. The Reprint Center plus our new direct to consumer bookstore, PGDirect were demonstrated at the show, to many positive reviews. Dozens of sessions, panels, and lectures were scheduled during BEA. Some programs educate new and experienced booksellers on how to become better at the business. Others focus on trends that affect publishers, editors, and/or agents. Still others help self-publishers master social media and book promotion. And the celebrity authors! There were several celebrities at BEA this year including Jamie Lee Curtis and Nicole Curtis from HGTV’s Rehab Addict. We even had a visit from John Wayne’s grandson who posed for a quick photo! Some books go through the ringer: Children’s books, library books, and reference and educational books are all subjected to extreme wear. Open, close, open, close….all day long. Binding these types of publications is truly a challenge, and regular binding techniques like gluing, smythe sewing and saddle stitching often don’t cut it. 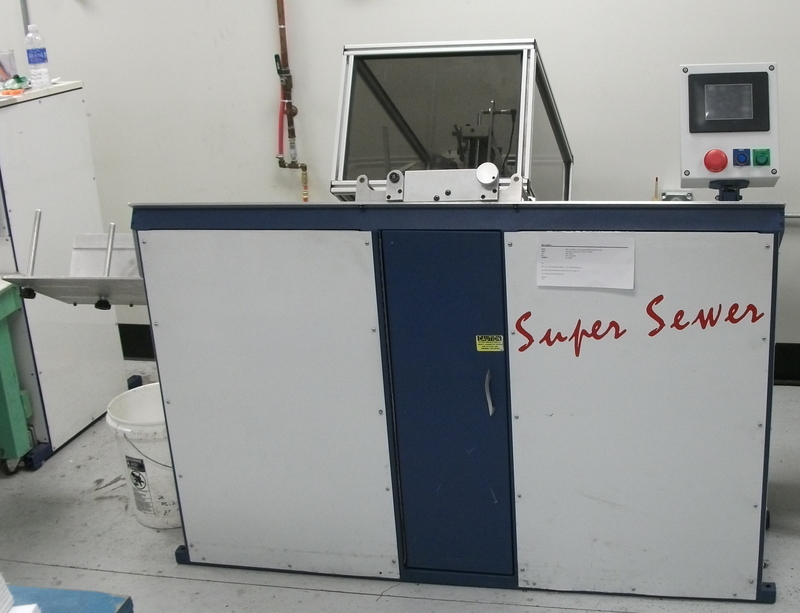 For books that need a super strong spine, we now offer Side Stitch binding equipment. It’s ideal for sewing short-run books on demand, either casebound or perfect bound. As the name implies, the threads are sewn through the side of signatures close to the spine. This technique produces an incredibly strong book block. Children’s books are especially good candidates for this type of binding since these books ordinarily take a lot of abuse! Our new Side Sewer has several important features including Back Tack Technology where the sewing machine does a reverse back stitch on the head and foot of the book block. This ensures a strong side sew that won’t come apart at the head and foot like standard side sewn books can (and often do). Speed is critical when you need to get books delivered to an important event. 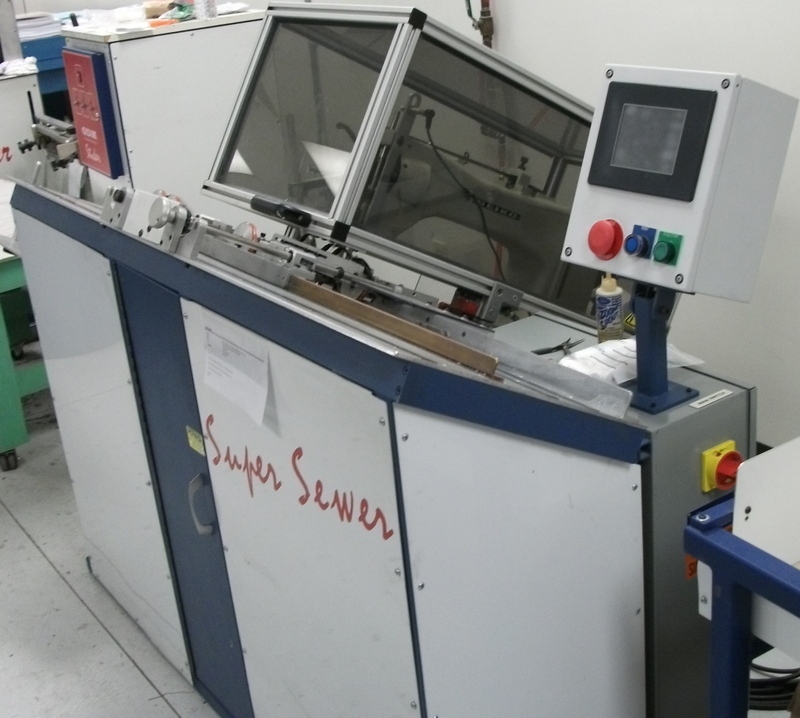 With the new Side Sewer, we can stitch up to 10 books per minute. That’s 600 books per hour! There a few limitations when it comes to spine thickness allowed for this technique. Our maximum spine width for this capability is 1/2″ thick while which equates to about 70 pages of 60# offset paper. The minimum book size is 1/32nd size. If you have a book that might benefit from this binding format, give us a shout. Here’s a few photos of our new equipment. [Carol Stream, IL, March 1, 2016] Illinois based Publishers’ Graphics, a leading print on demand book manufacturer to the publishing industry, is celebrating its 20th anniversary of business this month. Two decades of experience have transformed the company from a small venture of innovative ideas into a successful company that employs over 100 employees working in three manufacturing facilities throughout the Midwest. Publishers’ Graphics (PG) was founded in 1996 by Kathleen and Nick Lewis in Naperville, Illinois. The Lewis’ initially established the company as a short run digital printer, helping both small and large publishers meet the growing demand for smaller print runs. In November of 2009, Publishers’ Graphics opened its second printing facility in Florence, Kentucky, serving as the in-plant manufacturing arm for a large global publisher. Rapid growth followed and key technological investments were made including web-to-print workflows, a virtual bookstore, and online print quoting. More recently, strategic acquisitions of St. Louis-based Corley Printing and Commercial Letter, Inc., has helped fuel PG’s expansion, adding new capabilities in offset book printing, direct mail, database management and global distribution. Innovation continues to be the hallmark of the company, culminating in the 2015 launch of PGDirect (www.pubgraphicsdirect.com), an online bookselling platform. Featuring a dynamic direct to consumer sales model, this “Bookstore on a Mission” eliminates waste, conserves energy and reduces the carbon footprint to its very minimum. With over 250,000 books already in its catalog, authors and publishers are finding the site a welcome addition to the marketplace. About PG: As a leader in POD and short-run printing for publishers, Publishers’ Graphics brings innovative procedures and workflows to book creation. Providing customized solutions to its customers has made PG a go-to resource for publishers around the world. Headquartered in Carol Stream, IL, PG has an in-plant satellite operation in Florence, Kentucky, as well as manufacturing and warehouse facilities in St. Louis, Missouri. Publishers’ Graphics distributes globally by printing its products locally on three continents through strategic partnerships. A new direct to consumer site offers options. Selling through PGDirect complements the workflows that most publishers have in place. PGDirect is your 3rd Option (and most likely, we will prove to be your best). The corporate structure at PGDirect is different from other book printer/seller combinations. We can sell publishers’ books at a lower price because most of the publishers’ discounts are passed on to the consumer, ultimately resulting in the sale of more books. PG’s printing quality is excellent, printing and binding options extensive, and costs are competitive. PGDirect helps market publishers’ titles by periodically featuring books on the homepage with “About the Author” features. PGDirect offers books that are environmentally friendly. 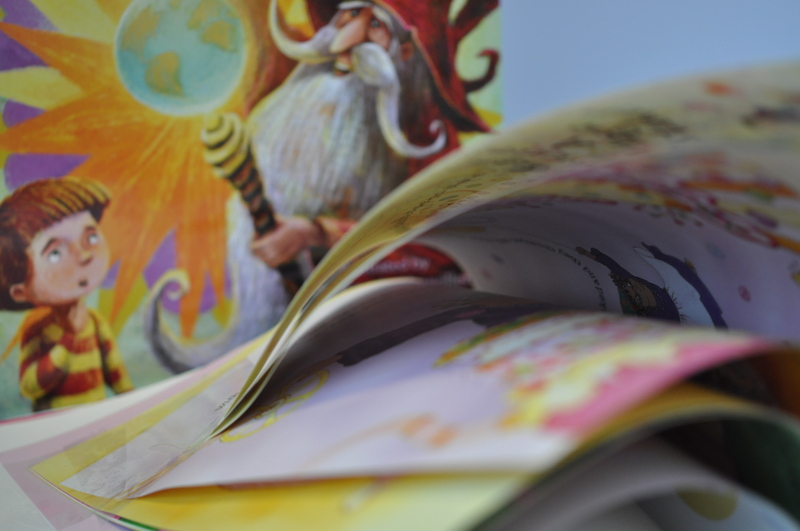 Since PG prints and binds every book we sell, all the materials used are FSC certified. Quick turnaround (48 hours for softcover/72 for hardcover) gets books to consumers faster as the orders stream seamlessly from retailer into production instantly. Creative use of social media between PGDirect, publishers and authors enables organic growth on the internet and builds strong backlinks for optimizing SEO plans. PGDirect and PG offer a personal touch to our business relationships and customizable solutions. PGDirect’s Reprint Center allows publishers to sell to their authors via unique portals for each author, 24/7, with customizable pricing, packing lists, and invoicing. 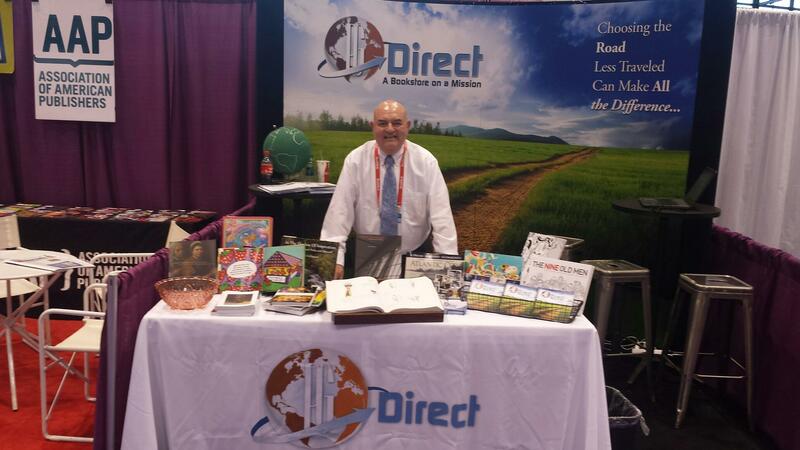 PGDirect sells publishers’ books, prints and binds them, ships them, bills them, collects the payment and sends publishers a check for their profits each month. Get set up on PGDirect and get a check for just…. being! Visit PGDirect and learn more by calling PG at 630-221-1850. 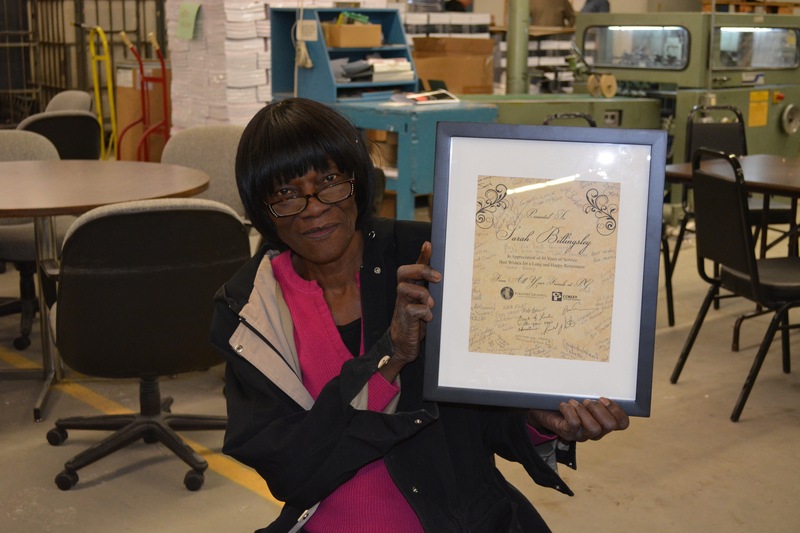 Sarah Billingsley has retired after nearly 45 years in the printing industry. 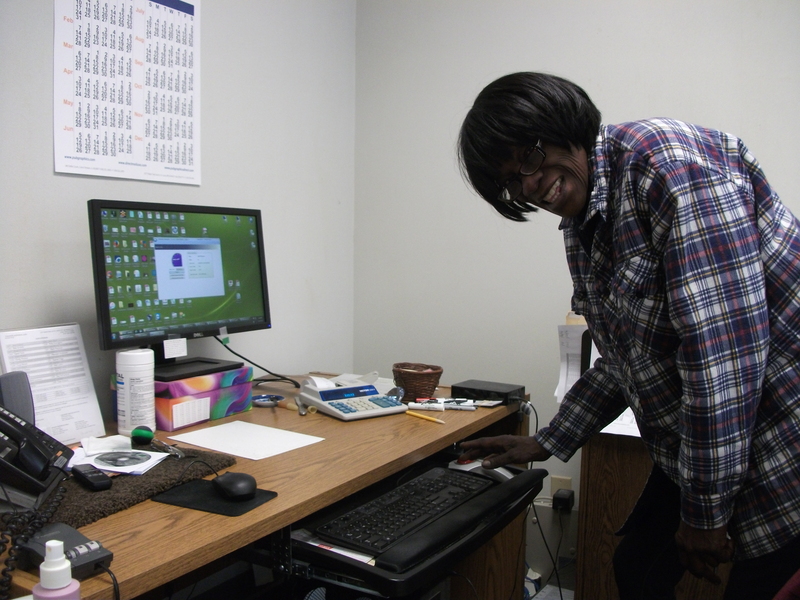 Sarah started her career in printing with Corley Printing Company on March 29, 1971 and ended it with Publishers’ Graphics on January 22, 2016. During that time, she worked in the bindery department at two plant locations while company ownership changed 5 times, under the direction of 5 supervisors and side by side with hundreds of co-workers. Over the years Sarah has handled, literally, millions of books. And, because of her level of commitment, those books were quality products! Her dedication and attention to detail were to second to none. Just imagine how many peoples’ lives have been touched by the books she produced! Beyond her contributions to the company’s success was her personal contribution to daily life at the company. Sarah has a wonderful sense of humor, and she isn’t afraid to “shoot from the hip” when it comes to expressing her opinions. She’s a straight-talker who, over the years, has surprised and amused all of us. 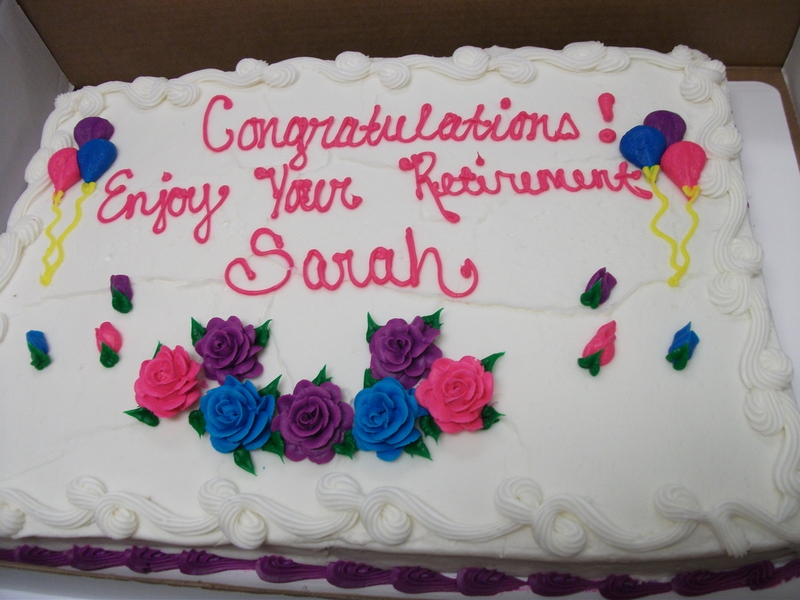 Sarah ended her career as she began it – with the appreciation of her supervisors and the admiration of her “work family.” As was mentioned at her retirement luncheon last week, she has finished the race and finished strong! 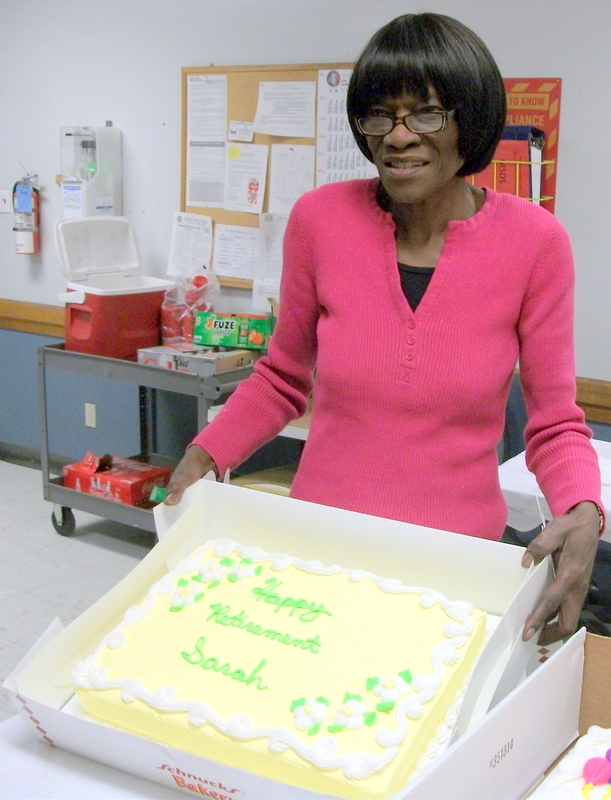 Sarah will be sorely missed, but we are very happy that she is beginning this new chapter of her life. Good luck and God bless, Sarah! December 10, 2015: Publishers’ Graphics, a leader in POD book manufacturing and distribution, is pleased to announce an agreement with OmniScriptum Publishing Group, a German publishing group based in Saarbrücken, Germany, to market and distribute their extensive catalog of titles on PGDirect. PGDirect is a new direct to consumer retail platform that was launched by Publishers’ Graphics in September. “We are excited about this agreement, which will benefit the many customers of OmniScriptum,” remarked Kathleen Lewis, President of PGDirect. “We recognize that publishers are looking for new sales channels and fresh options. By eliminating many steps in the process, like warehousing, unnecessary transportation, and labor costs, PG Direct moves them a step closer a zero-inventory model,” she continued. OmniScriptum has made available over 100,000 titles for the site, across a wide range of subjects and genres. Scientific publishing is their core business, and they also publish religious works, fiction and special interest. PGDirect embraces a true POD model, since books are only printed when a customer places an order. With a 48-hour manufacturing and shipping schedule, consumers receive their books much faster– and with a reduced carbon footprint– than traditional methods. As a leader in POD and short-run printing for publishers, Publishers’ Graphics brings innovative procedures and workflows to book creation. Providing customized solutions to its customers has made PG a go-to resource for publishers around the world. Headquartered in Carol Stream, IL, PG has an in-plant satellite operation in Florence, Kentucky, as well as manufacturing and warehouse facilities in St. Louis, Missouri. Publishers’ Graphics distributes globally by printing its products locally on three continents through strategic partnerships. PG Direct, our new direct to consumer bookstore launches! We’ve launched! Our new e-commerce platform, PG Direct, is now live! So what exactly is PG Direct? What can it do for you? Imagine sending your book files to your printer, who could process and print your titles, and THEN market and sell your title through an e-commerce bookselling platform…all with one easy seamless process. Well, that’s the beauty of PG Direct! We’ve made bookprinting and selling far more efficient…. and simpler than ever with an all-in-one solution. Why did we develop it? You probably realize that the bookselling environment is rapidly changing and becoming even more competitive. Today it’s not enough to be “just a printer,” we must also be a logistics expert that delivers content, no matter the format. This new sales channel simplifies– even disrupts– the supply chain; in short, we’re bypassing the middleman – like Amazon, for example. Each of our customer segments—publisher, consumer, libraries and others —will likely benefit by working with us directly through time and cost savings. What are the advantages? It’s a unique opportunity to reach a broader audience. Publishers will experience more exposure and visibility for their titles, while readers will enjoy perks like discounted retail pricing, free USPS shipping (for purchases over $30) and fast production times. Our streamlined process cuts out unnecessary expenses like overprinting, transportation, and storage costs, and we handle all the clerical tasks too. No more administrative time-consuming jobs like taking orders, processing credit cards and shipping books. Full circle with PG Direct. It all comes back to creating great looking books. Ones that you’re proud to sell and distribute. By skipping the middleman, the savings are passed on to the end-consumer so both you and your readers benefit. It’s a full-circle, full-service solution with mighty benefits. Visit PG Direct and learn how we can help you sell and distribute your titles. Or call us at 630-221-1850.